TGHN SURF CLUB: Nippers, Ella and Sophie Howarth. 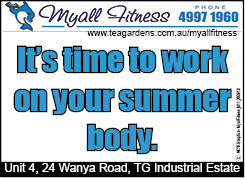 BUSY times for members of the Tea Gardens Hawks Nest Surf Lifesaving Club. Following on from representative honours achieved by the TGHN Boat Crews last season, the clubs representative success now continues into the nipper area of the club. 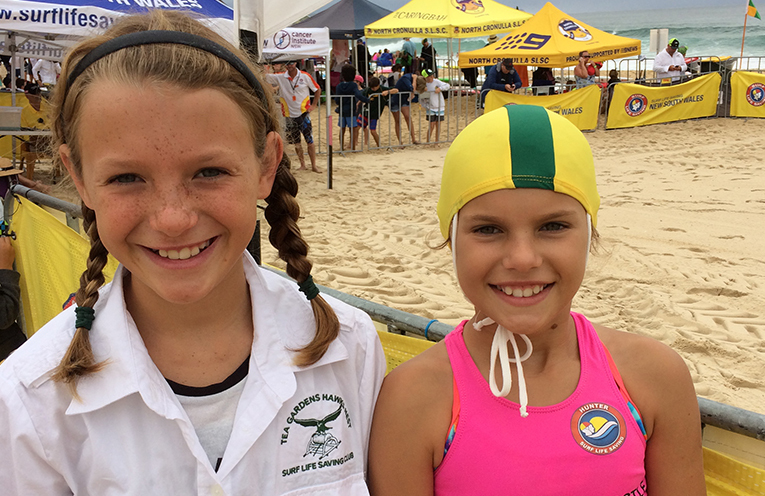 One of the clubs young Nippers, Sophie Howarth, has been selected in the Hunter Surf Life Saving team to compete in the NSW Interbranch Championships this coming weekend. “These championships will be held at Blackhead Beach where Sophie will compete against selected nippers from all Surf Life Saving Branches in New South Wales,” President Tony Logue said. 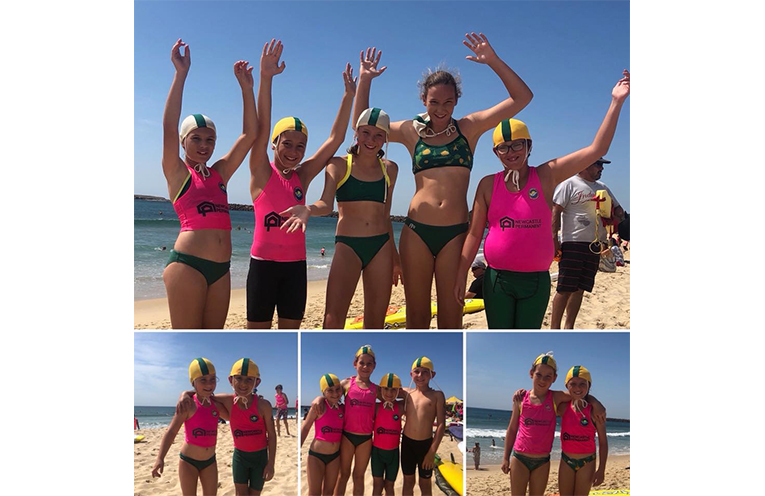 “This group of nippers regularly compete in the Surf Lifesaving Carnivals representing our Tea Gardens Hawks Nest Club, “Tony told News of the Area. The Tea Gardens Hawks Nest Surf Life Saving Clubs Open Men’s A Crew has also just returned after competing at the World Surf Life Saving Championships at Glenelg Beach in Adelaide. Boat Crews, including the Under 19’s are also off to Macksville and Scott’s Head this coming weekend for rounds three and four of the Streets Surfboat Series. TGHN SURF CLUB: Nipper Squad.